An Alaska Airlines flight from Long Beach, California, to Vancouver, Canada, was forced to land in Portland, Oregon, when two children, aged three and eight, refused to stay in their seats. The children and their parents were kicked off the flight and met by police officers. After being spoken to by officials, the family was allowed to continue its journey on another plane. Alaska Airlines spokeswoman Marianne Lindsey said police talked with the family after the flight landed in Portland on Tuesday night. An Alaska Airlines supervisor then talked to the family about the need to comply with federal air regulations that require children to remain buckled in their seats for safety. 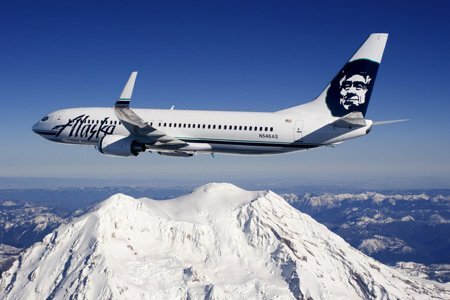 Marianne Lindsey said the supervisor then escorted the family to make their connecting Alaska Airlines flight from Portland to Seattle, Washington. That flight was uneventful. She declined to release any additional information about the family, citing privacy concerns. Chris Heistand, a passenger on the flight forced to set down in Portland, said he thought the captain’s decision to boot the family off may have been an overreaction. He told KATU News: “I think we all need to have some sort of tolerance.